So here’s a recap of this last weekend. As always, I want you to judge me not just based on my words, but based on my action. I know that there are a lot of touts out there who talk the big game. The difference with me is that I don’t just talk the talk. I walk the walk. Every single day, I put my money exactly where my mouth is by going out and betting tens of thousands of dollars on my picks to show you the sheer level of confidence I have in my selections. I have wagered on sports for 30 years and have won every single year. I have made tens of millions of dollars doing this, and I know that over a period of time, I’ve always ended up ahead. I wouldn’t be wasting my time to handicap sports and my money to be betting on sports if I don’t have the kind of historical winning track record that I do for 30 years. When you “tail the whale,” you’re following along one of the winningest sports bettors in Nevada history. I won one of my Round Robins here as you can see. On this Round Robin, I wagered $5,200 and cashed out over $28,000 for a net profit of $22,821.98. Overall for yesterday, I wagered a total of $47,750 on my picks, and cashed out $59,677.42 for a winning profit of $11,927.42 in one single day. So in one single weekend, that’s Saturday and yesterday on Sunday, I wagered a total of $112,379 on my picks and cashed out a total of $132,765.36 for a net profit of $20,386.36. As far as I’m aware, I’m the only person in the world who shares their picks and bets on them myself by the hundreds of thousands a week. It’s important for you to know this because when I win and lose with you, that’s the only sure-fire way for you to be absolutely certain that I’ve got your back. I’m not winning if you’re not winning. 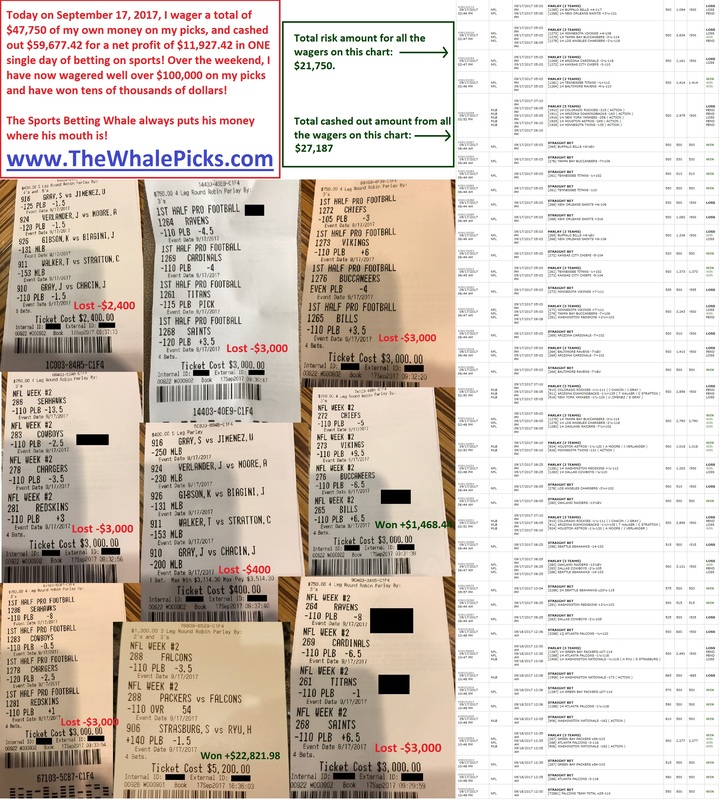 I went out there and bet well over $100,000 on my picks this last weekend because I want you to know that the only way I can benefit from this program is if I can help you win. Period! 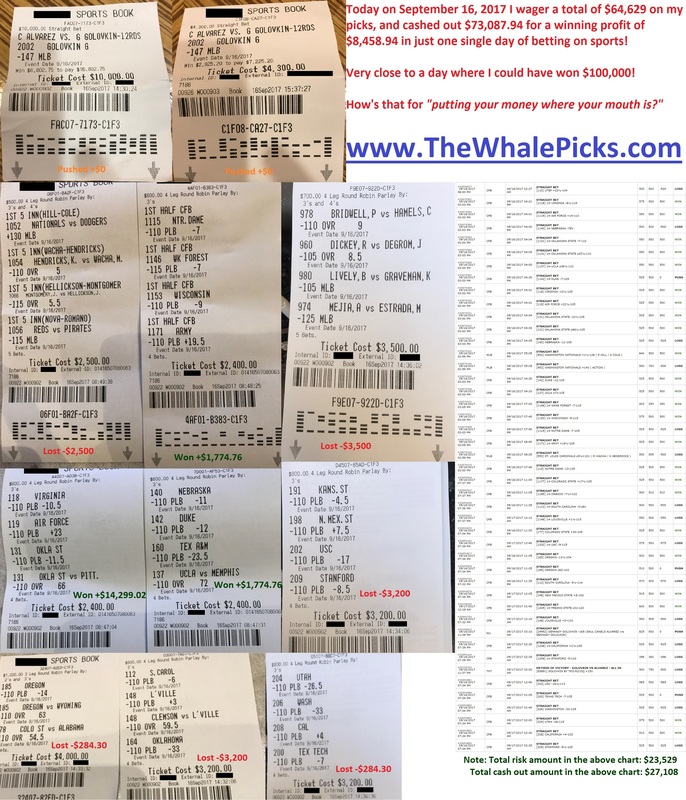 So you’ve seen it for yourself how I wagered well over $100,000 this last weekend and walked away with tens of thousands of dollars in winnings. One of the ways I’ve made my fortunes if from betting on boxing and mixed martial arts. You’ve seen my undefeated winning track record this year. 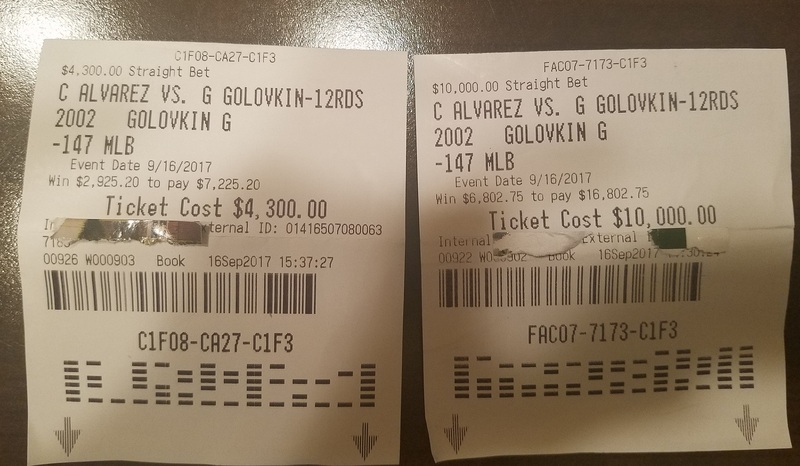 Between Mayweather vs McGregor and GGG vs Canelo, I’ve wagered about $35,000 on the two fights. I easily won on Mayweather and should have also won on GGG. Still, that was a push my record is still undefeated for the year. 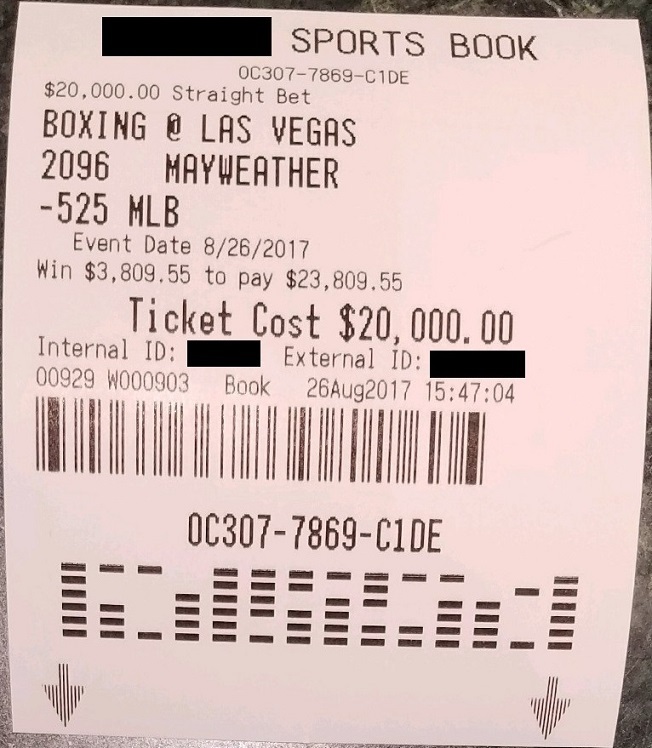 One of the ways that I’ve made a fortune from betting on sports is from betting on MMA and boxing. I have made millions of dollars betting on these fights. In one monster winning streak I had not too long ago, I won about 40 bets in a row. I have access to people who are insiders and former insiders in MMA and boxing that continually feed me with tips on the fights. I’ve taken advantage of that and have won millions of dollars betting on MMA and boxing.